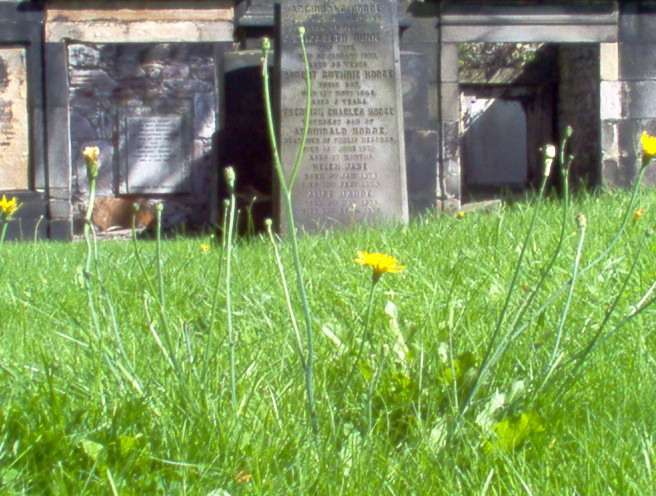 Okay, so it may seem rather morose, but this is one of my favorites pictures from Scotland. I've been thinking about death lately, mopre specifically how I want my funeral to be, etc. Not that I'm planning or expecting to die any time soon, it's just been on my mind. I've thought that I would be generally happy to be pushing daisies, as the saying goes. Food for worms is a bit more icky way of saying the same thing...that new life will be generated as a direct result of the end of my life... Reincarnation.